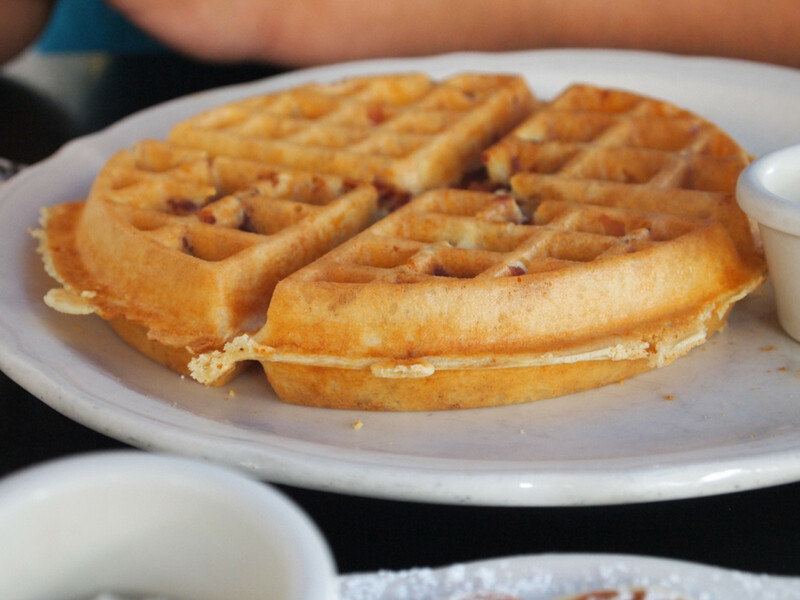 These great bacon waffles are so good, you'll wonder why you never thought of it before! Combined with warm maple syrup, they're just about the best breakfast treat on the planet. and they're SO EASY. This recipe will have your family jumping up and down. Bacon waffles for everyone! Okay, let get these bacon waffles going! Get the waffle iron heating. Beat eggs well; add the buttermilk, bacon grease, baking soda, baking powder, sugar, and flour. 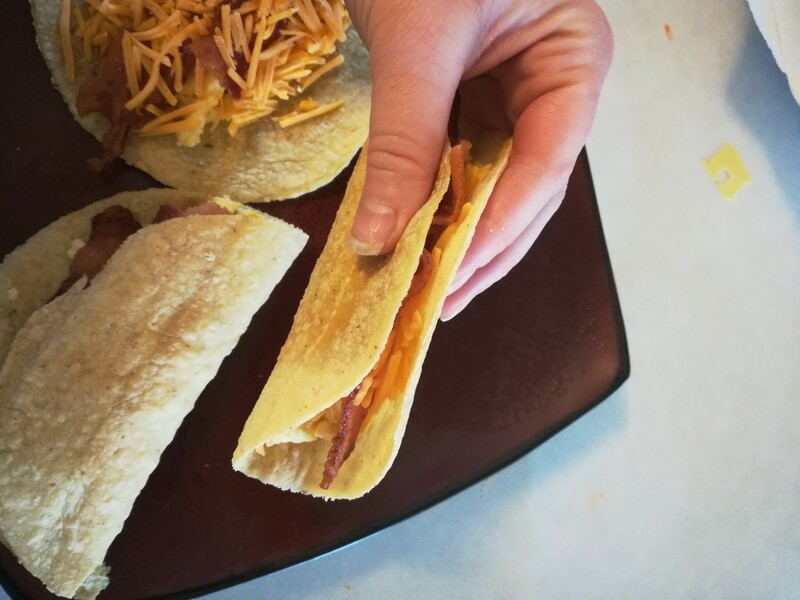 Mix well; fold in the chopped bacon. 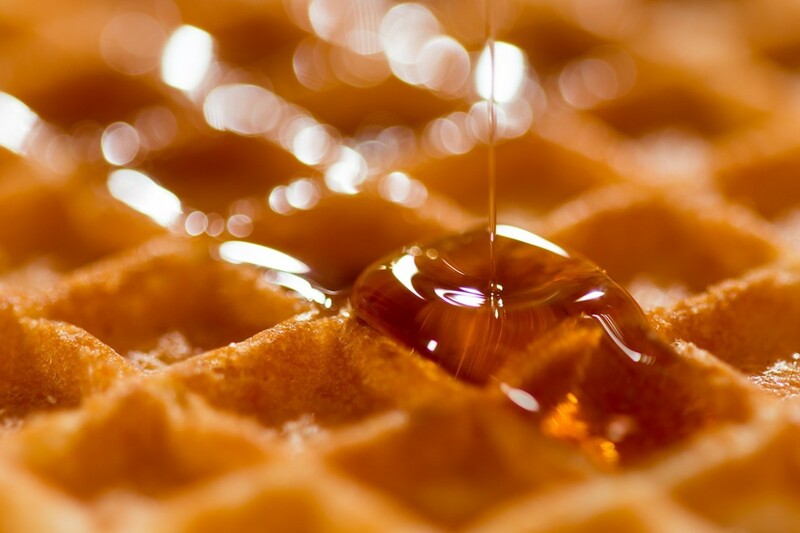 Pour into the hot waffle iron and follow directions with the waffle iron. Add the syrup and butter. 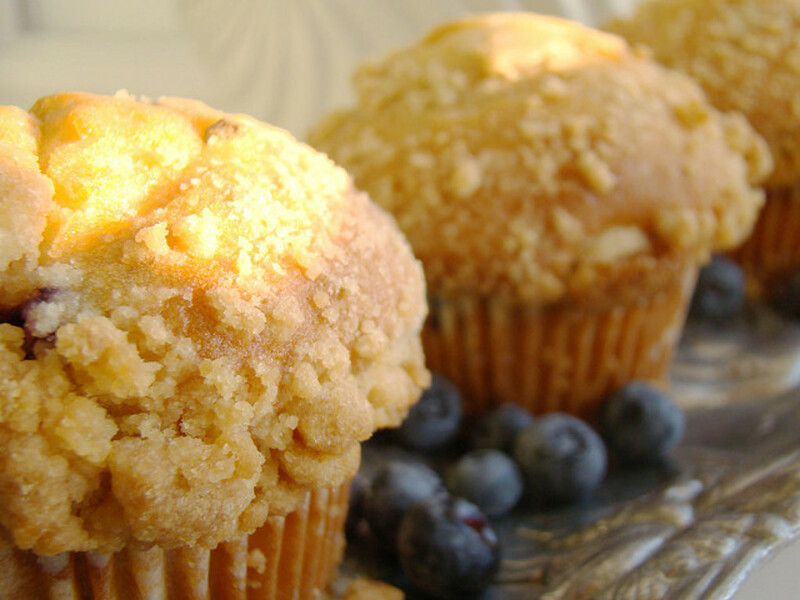 I love a hot blueberry muffin right from the oven, slathered with real butter and a cup of my favorite coffee. Almost as good as bacon waffles! (But not quite). 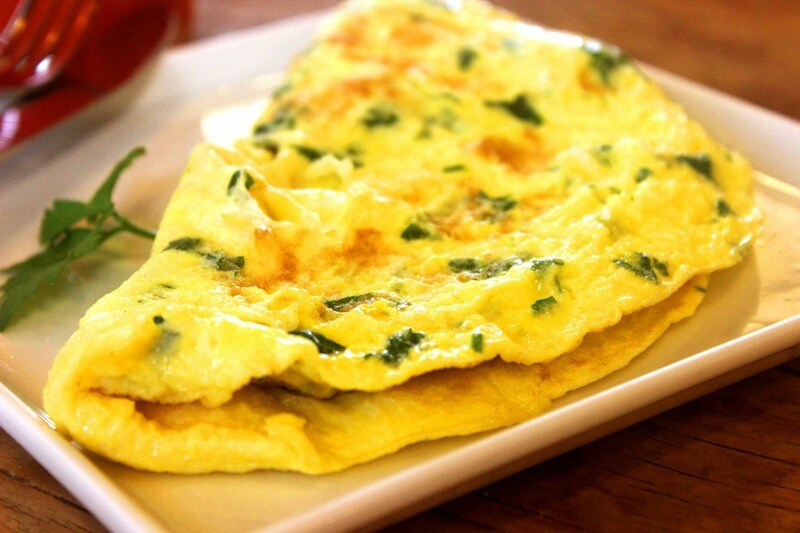 This recipe would be great for a special breakfast or brunch just for the ladies. You may use fresh blueberries or thawed frozen ones. You could easily substitute your favorite fresh fruit in place of the blueberries. Combine 1/3 cup sugar and ¼ cup butter in a large bowl. Combine in a separate bowl; 2 1/3 cups flour, baking powder and salt. Add dry ingredients to the creamed mixture, add milk alternatively; stirring well after each addition. Fill the greased muffin cups; filling 2/3 full. Combine ½ cup sugar, 1/3 cup flour and cinnamon. Cut in ¼ cup butter until the mixture resembles crumbs. Bake in a 375 degrees Fahrenheit oven for 25 minutes or until golden brown. I know that I carry on a lot about my bacon waffles, but love breakfast no matter what is on my plate. They say it is the most important meal of the day. 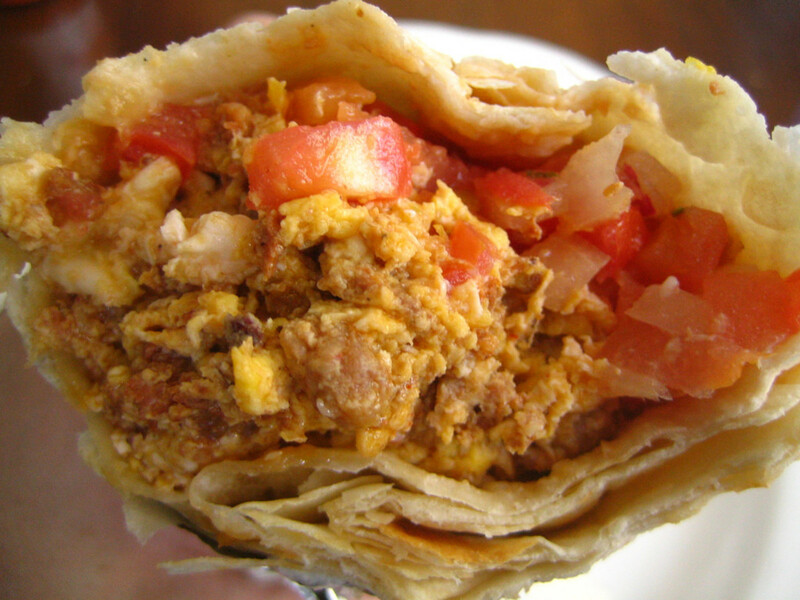 Scrumptious breakfast burritos will stick with you longer than those sugary doughnuts. I love the frozen hash brown potatoes, and that is what I use instead of grated potatoes, but if you don't like quick and easy like me, by all means, peel and grate that potato. These are also a good filling dish to serve at brunch. Cook the sausage until browned, drain the reserving drippings in a skillet. Set aside. In the same skillet, add the vegetables and cook until the potatoes brown. Add the eggs, cook stirring occasionally until the eggs are firm. Wrap the tortillas tightly in foil: bake at 350 degrees Fahrenheit for 15 minutes. Spoon the egg mixture into each tortilla, roll up. Place the filled tortillas in a lightly greased 13-inch x 9-inch x 2-inch baking dish; brush with melted butter, cover with foil. Bake at 375 degrees Fahrenheit for 10 minutes, top with the cheese. Cover, bake 5 minutes until the cheese melts. Serve with Pico de gallo or taco sauce. "Bread pudding for breakfast?" You say. Yes! 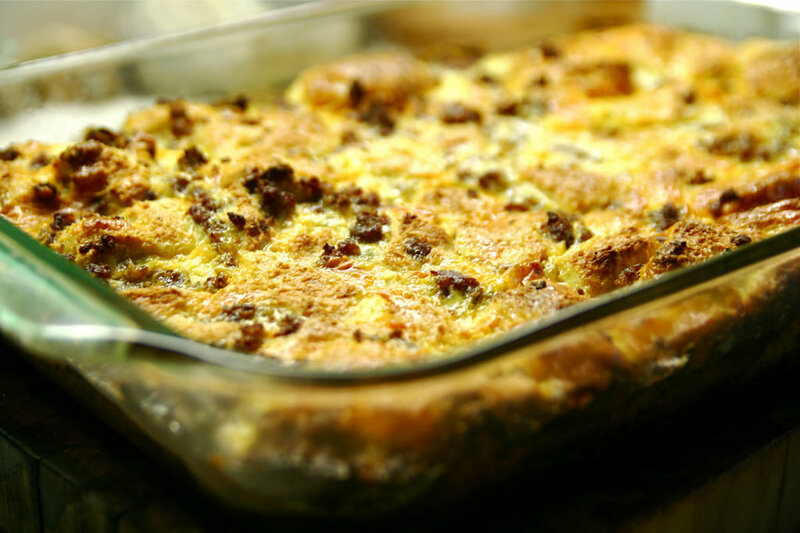 Yummy, savory sausage breakfast bread pudding. It is wonderful for breakfast when you have guests or just for the family, and also perfect for brunch. 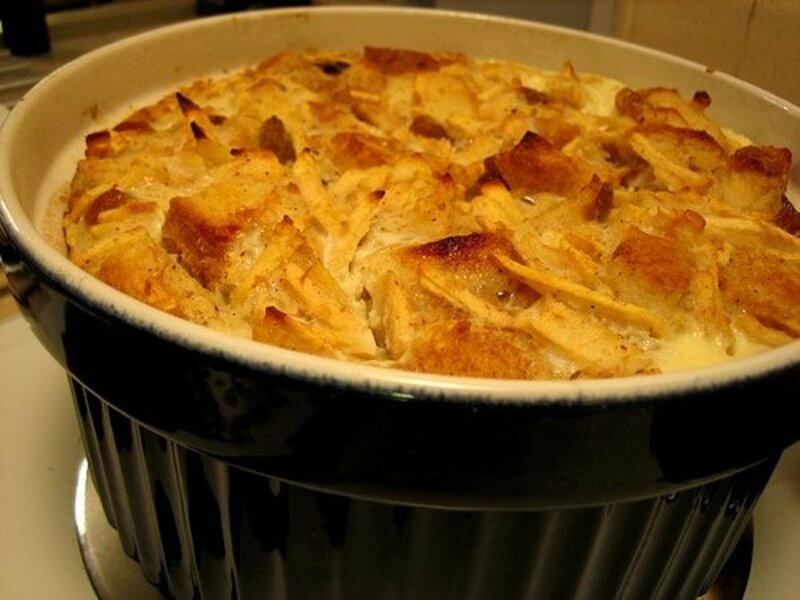 This bread pudding is made the night before and sets overnight before baking, this makes it perfect for serving during the holidays. I use sausage, but you can really use any kind of meat or just leave it out. Now, let's get this breakfast bread pudding started! Spray a 9-inch x 13-inch casserole dish with non-stick cooking spray. Place 2 tablespoons butter in a large skillet slightly melt; add onions and cook over medium-high heat until translucent. Add the pork sausage; cook 4 minutes or until fully cook, breaking apart into small pieces. Stir in the spinach and sauté until wilted. Remove the skillet from the heat; drain. In a large bowl whisk the milk, eggs, salt, black pepper and garlic powder. Add the bread; stir to coat the bread. Stir in the sausage and cheese. Before cooking take the bread pudding out of the refrigerator about 20 minutes before cooking and leave at room temperature. Bake at 350 degrees Fahrenheit oven for 45 to 50 minutes, it will be puffy and golden brown. Let set five minutes, then serve. This is a recipe I made up, so amounts are flexible. I love this stuff, it is quite addicting! It is very filling and easy to make. I like a side of fresh fruit to serve with it. I serve it for breakfast or brunch. Place about 2 tablespoons of olive oil in a large skillet. Add the chopped bell peppers and onion, whatever amount you like. saute for about 2 to 3 minutes on medium-low heat. 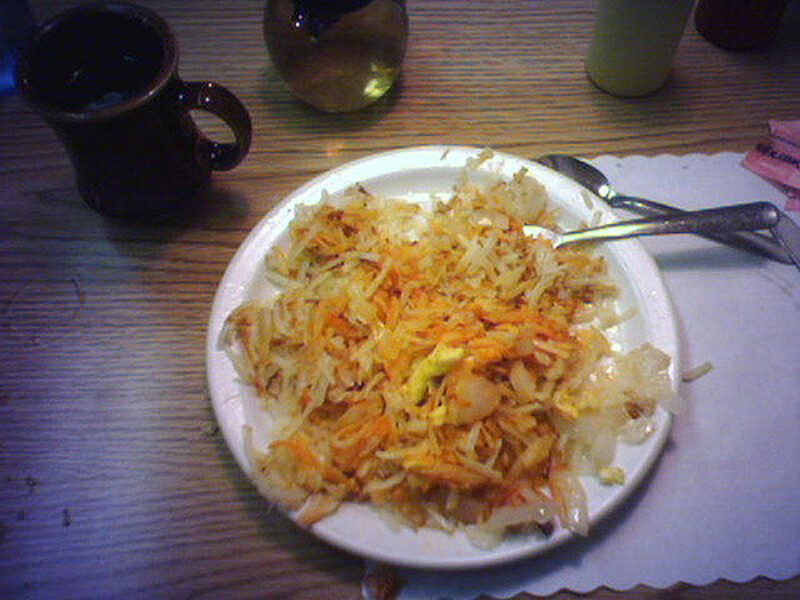 I buy the frozen hash browns, throw in a couple of handfuls in with the peppers and onions. Stir this mixture often while it is cooking. When the hash browns are done, move the hash browns to one side of the skillet and crack an egg, add the salt and pepper and scramble it, then mix in with hash-brown mixture. 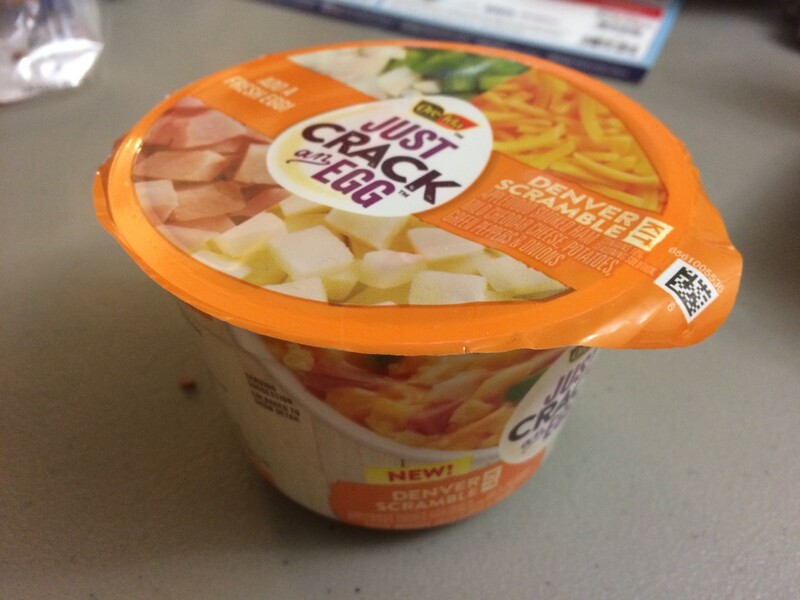 You may add browned meat and shredded cheddar cheese on top if you like. Now I get my coffee ready and take all my pills, oh my goodness, it is not fun getting old. Now put it on a plate and dig in, hope you enjoy! Vote for your favorite breakfast food! Looking for something for breakfast or brunch? Look no more! 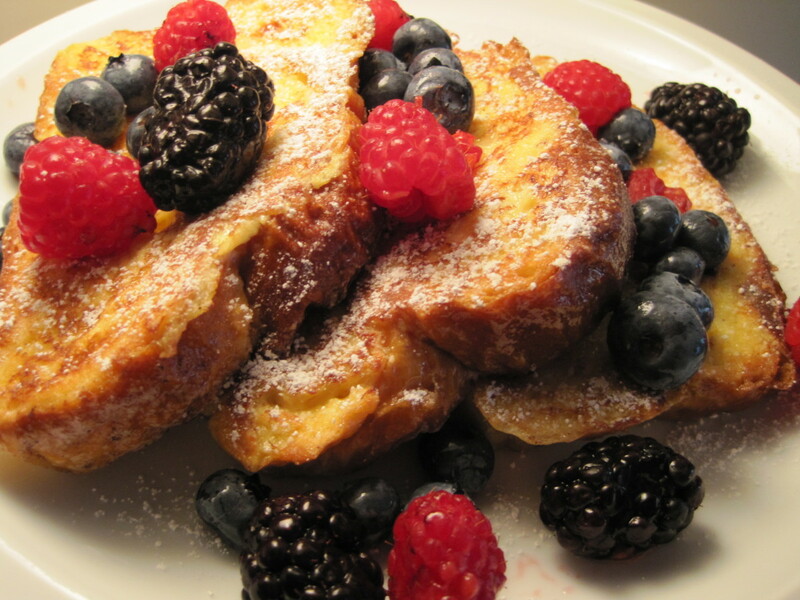 Try this scrumptious buttermilk French toast. You can add almond extract and nutmeg for a different flavor. Serve with fresh fruit for a delicious breakfast or any meal of the day. Let's get this buttermilk French toast cooking! 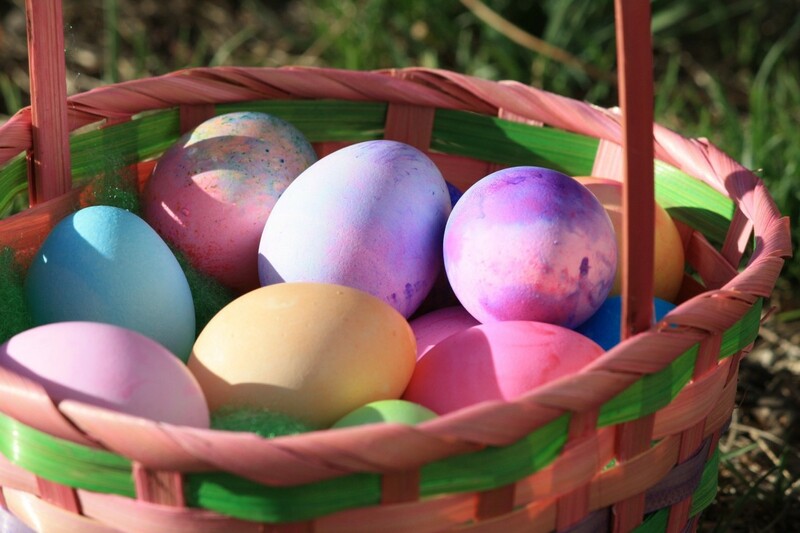 In a mixing bowl beat the eggs. Add the buttermilk, sugar, vanilla extract, salt, and cinnamon; beat well. Dip each slice of the bread in the buttermilk mixture, coating both sides. Cook in an oiled or buttered skillet on both sides until golden brown. Top with the syrup, powdered sugar, or whatever you like. Makes 8-10 slices of French toast. Use ½ teaspoon almond extract and ½ teaspoon ground nutmeg in place of vanilla extract for another version. 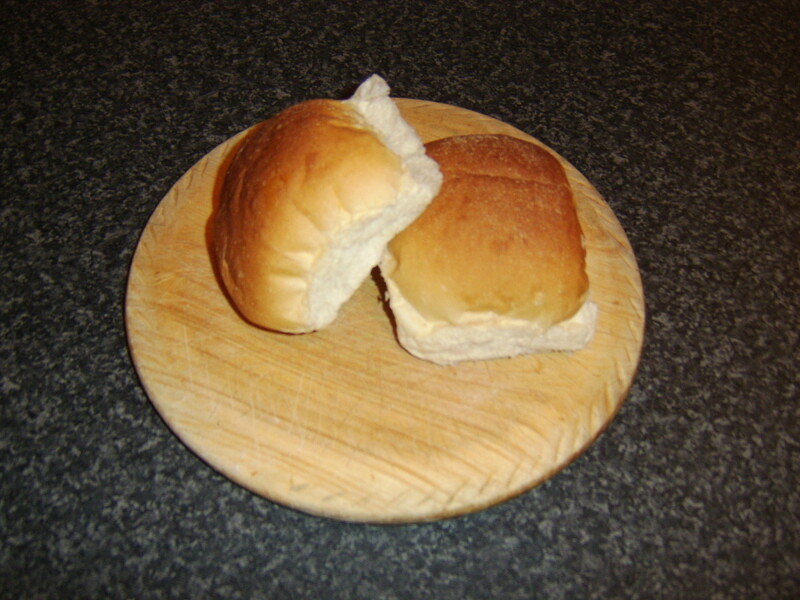 I love just about any sweet bread. I like to slather it with butter or cream cheese. I know that will put pounds on, but oh it is so yummy. This bread freezes well. Okay, now we are ready to start mixing! Butter a large 9-inch x 5-inch x 3-inch loaf pan. Cream the butter with the white and brown sugar; beat until fluffy. Add the eggs; beat well. Sift together the dry ingredients; beat into the egg mixture. Fold in the carrots and nuts; mix thoroughly. Bake for about 1 hour, or until done. 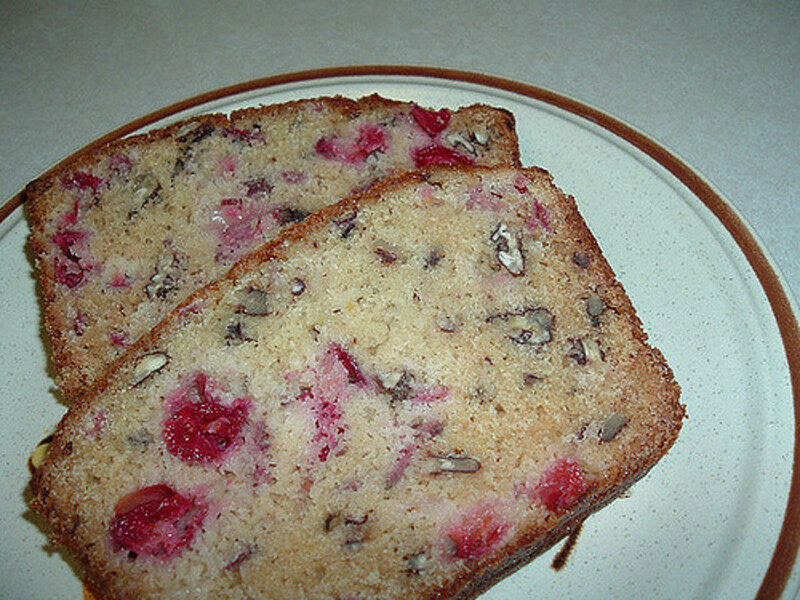 This delicious cranberry nut bread recipe is also great toasted and served with butter at breakfast or brunch. It makes a great gift or item to take to a party or for breakfast or brunch. It is also may be prepared with dried cranberries too. This bread freezes well also. Grease a 9-inch x 5-inch loaf pan or 3 mini loaf pans. Combine the flour, salt, baking powder, and baking soda. Add to the dry ingredients, sugar, egg, butter, orange juice, grated orange rind, and hot water, stir just until moistened. Fold in the berries and nuts, do not over mix. Spoon into the pan and bake 50 minutes or 35 minutes if making mini loaves. Cool, wrap and refrigerate or freeze. Use any type of nuts you like, walnuts, pecans, almonds or whatever you desire. Make extras and freeze for a later use. Make mini loaves for gift giving to your single friends. Coffee cake is one of the true classic brunch dishes. 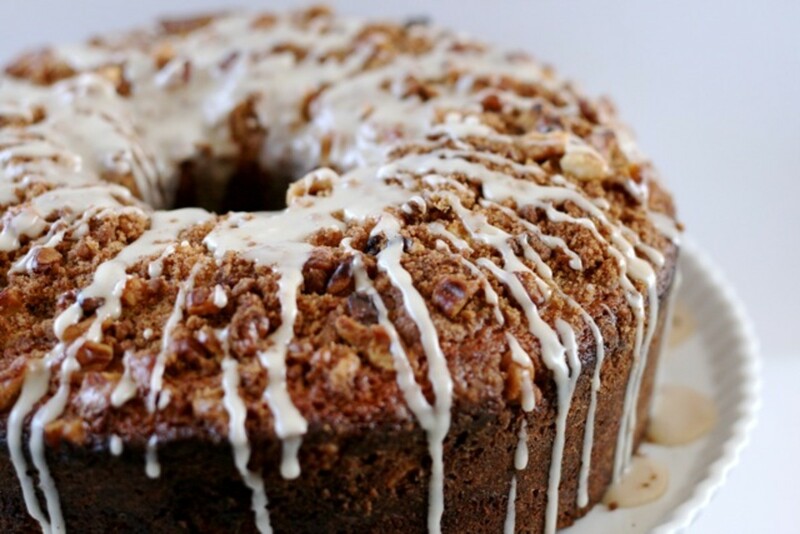 This wonderful coffee cake is made moist and scrumptious by using sour cream. 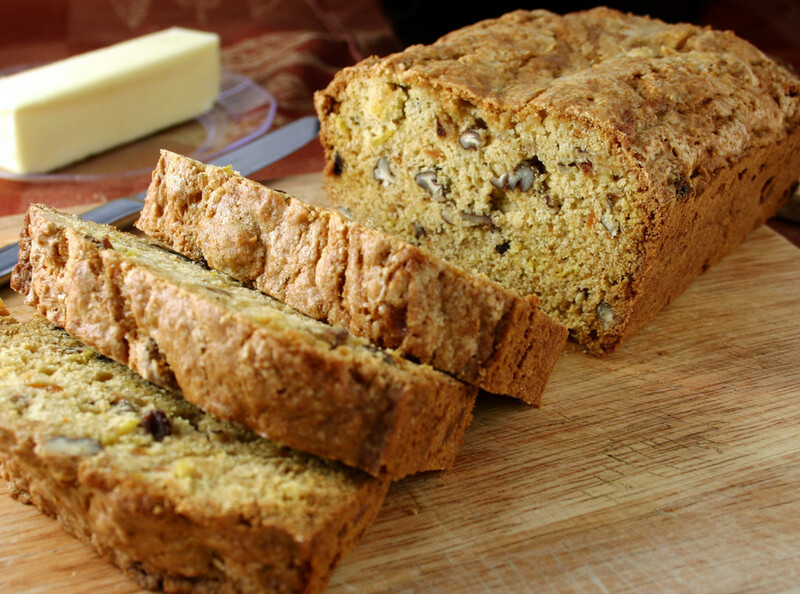 It's flavored throughout with a layer of a cinnamon nut mixture. It is great served for breakfast with a hot cup of coffee, brunch for the ladies or just for dessert. In a large mixing bowl, cream sugar, butter, and sour cream. Add the eggs and vanilla extract; beat well. Combine the dry ingredients; add to the creamed mixture; beat well. Make cinnamon nut mixture by combining chopped nuts, sugar and cinnamon. In the bottom of the greased and floured tube pan put half of batter. Sprinkle with half of cinnamon pecan mixture. Carefully top with remaining batter and cinnamon pecan mixture. Mix powdered sugar and 2 to 3 tablespoons of milk to make a thick glaze. Substitute your favorite fresh fruit. I really hope these simple southern recipes make your day a little sweeter!. 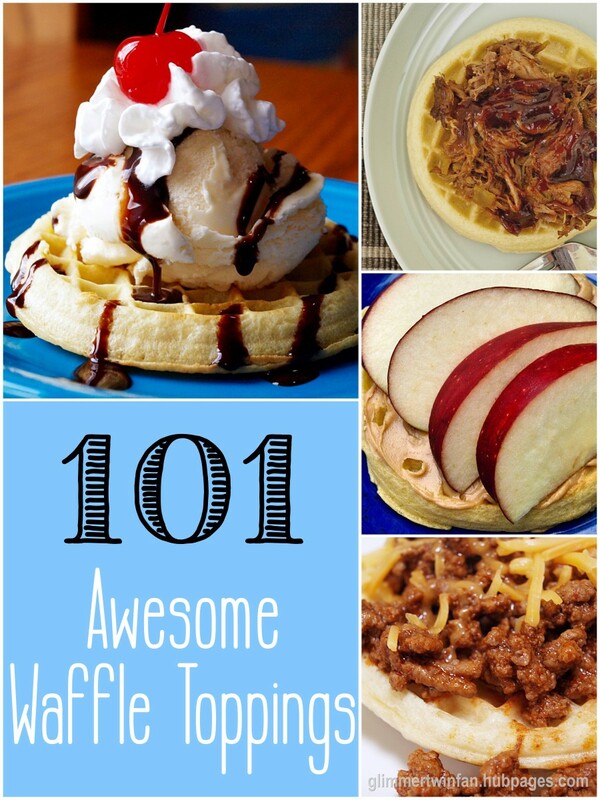 Whether you are a bacon waffles person or a breakfast burrito person, I hope these recipes get your day going right!